From out of the mists, a young woman has the power to control metal in Brandon Sanderson's Mistborn: The Final Empire. Sanderson is the King of World Building. His worlds are lush and complex, particularly the magic within his worlds. As a reader, I believed Allomancy could work. The characters are well-written. Kelsier often made me laugh, particularly with his fashionable tardiness (I can relate!). Vin pulled on my heartstrings. The main crew and Sazed were amazing, and the Lord Ruler and Inquisitors are fearsome foes. And Elend was adorable (I love a man who reads!). Sanderson laid out the twists and turns within the novel well, and I can't wait to dive into book two. For a brilliant example of high/epic fantasy, I highly recommend Mistborn: The Final Empire by Brandon Sanderson. Pan has met his match in Syrinx, the Goddess of Chastity, in Aubrie Dionne's Pan's Conquest. Syrinx a.k.a. Sylvia Rain holds onto her chastity like a security blanket, even though her river nymph's passion ignites when around Pan a.k.a Parker Thomas. I enjoyed the growth of her character and how she learned what truly defines her. Wild and handsome Pan/Parker is a worthy adversary and love interest toward Syrinx/Sylvia. His character's growth warmed my heart. Sylvia's friend Kaye is adorable and at times stole the show along with Rutherford, whom I loved. Dionne's lyrical style is beautiful to read. I smiled, laughed, and cried throughout the book and thoroughly enjoyed the Greek mythological flare to the storyline. For a sweet romance with a flash of danger and hotness look no further than Pan's Conquest by Aubrie Dionne. Karou's discovery of who she is will change everything in Laini Taylor's Daughter of Smoke and Bone. The exquisite setting of Prague intrigued my interest, and Taylor does a fantastic job with world building two worlds. I loved the mythology of the seraphim and chimaera. Taylor's poetic prose was a highlight of the story, and yet the prose often slowed the pace down to the trickle. Although strong characters, I felt distanced from Karou and Akiva. I wanted to like them as much as Zuzana, Kaz, Brimstone, Issa, and the other secondary characters, but I never quite did. Perhaps the third person point of view distanced me. I'm not quite sure. By the end of the novel, I felt like I had just grazed the surface of the main storyline. Although beautifully written with great world building, the plodding pace of Daughter of Smoke and Bone by Laini Taylor didn't quite capture my attention as much as I'd liked. I am on the fence on whether or not to continue to read this series. In Kitsy Clare's Model Position, a little chaos can hit the right spot in Sienna's overly organized life. Sienna, a graduate art student, lives for order and art, but she's not afraid to get a little messy for the right guy. Erik, a mysterious model, works hard in the positions of his life. I loved Sienna and Erik smokin' chemistry and how there is more to both of them than meets the eye. The secondary characters come to life as much as Sienna and Erik do. Clare shows the glitz, glamour, and possible heartbreak of being an artist in New York City in this fast-paced novella. Model Position by Kitsy Clare pops like sunshine yellow and ignites like fiery red and is overall a colorful romantic read. The psychics say someone is going to drown, so it's up to Emily Castles to solve the case in Helen Smith's Beyond Belief. One of the best thing about this novel is the cast of characters. They are unique, a tad quirky, and fun to read about. Emily definitely captured my heart in her logical mannerisms. The mysterious yet lovely setting of Torquay, England enchanted me. The storyline hooked me with two questions: who would die and will someone prove to have psychic abilities. I love mystery stories with a bit of paranormal mixed in. The only things that made this a four-star instead of a five-star read for me were the blatant foreshadowing due to the book's omniscient point of view--I prefer a more limited view--and it took over half the book for someone to die--I like my murder mysteries to have the death closer to the first few chapters. Beyond those two personal qualms, I enjoyed Beyond Belief by Helen Smith and would read more Emily Castles Mysteries. One way or another, Loch Ness is about to give up its secrets in Aubrie Dionne's Love on Loch Ness. The setting of Loch Ness and Scotland lends a mysterious atmosphere to this novel. As I reader, I could hear Nessie's call and feel the chill of the enigmatic lake. Flynn Maloney is swoon-worthy from his Scottish brogue to his childlike wonder and caring disposition. He definitely has his work cut out for him in order to win over Dr. Gail Phillips, a believer in all things logical and who has given up on silly dreams and romance. They appear opposite of each other, but I loved how there is more to each character as the story progresses. Dionne crafted a fast-paced, suspenseful, and romantic storyline that swept me to Scotland. I never wanted to leave. One of my favorite books by Aubrie Dionne, Love on Loch Ness inspires the dreamer in all of us. Jade must decide what is right in Kristy Feltenberger Gillespie's Jaded. The dystopian-like yet unique setting pulled me into the story. I wanted to know the secret behind the eye surgeries and the strange community. Jade is a strong character, and I love how she was torn between doing what was right and what her community expected of her. Her connection with Ty definitely gave the story some sweet romance. The mystery was well-laid out. Although it wasn’t a surprise what was going on, I still have questions about the world Jade lived in. Although I wasn't always 100% connected with the characters all the time, I must admit I was easily hooked on the story and what would happen next. By the end, I was left craving for book two. I recommend Jaded by Kristy Feltenberger Gillespie to people who are looking for a new take on a dystopian world. 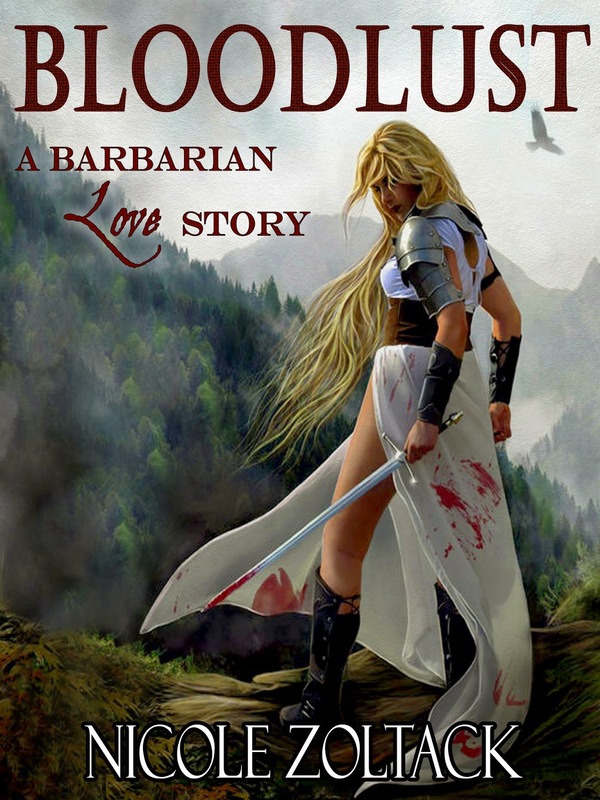 A barbarian princess and an orc prince must join forces to save their kingdoms in Nicole Zoltack's Bloodlust. Barbarians are strong, but barbarian princesses must be even stronger, and I love how Ivy uses her strength in more ways than just by the sword. Goliaths always seemed like ugly brutes, but Lukor shows they are more like us than we think. I loved how Zoltack takes an unlikely pairing and makes it work. The world-building transports the reader to a unique fantasy place with goliaths, trolls, elves, barbarians, and humans. They are different yet similar and all must find a way to survive within their realm. Fast-paced and action-packed, Bloodlust by Nicole Zoltack twists classic fantasy romance upon its head and creates a unique world and characters a reader can root for. "War has come to Demos City. It’s up to Leon to fix ... what's most important to him." 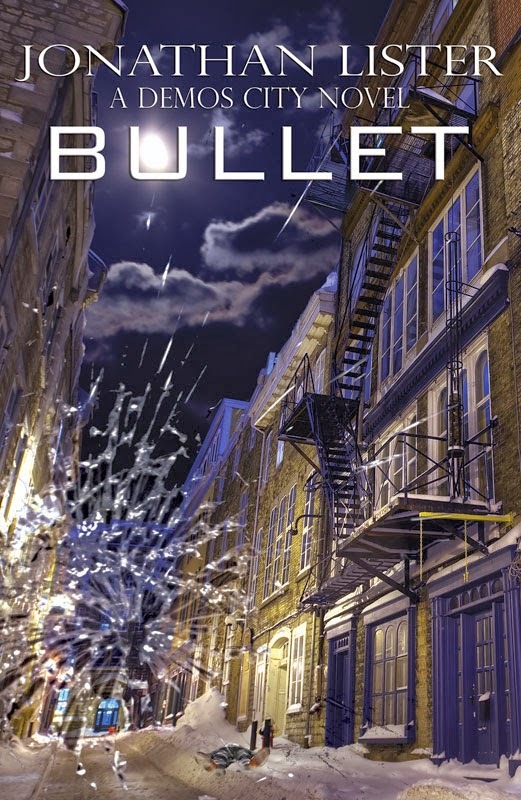 Bullet, a Demos City Novel, by Jonathan Lister will be released on June 16, 2014 by J. Taylor Publishing. "Home is worth the fight." M. Pax's fifth book in the Backworlds' series comes out in March! What a truly epic cover! Nicole Zoltack's newest novel is out now! You can add it on Goodreads or purchase it on Amazon. This month has been busy with final edits of Reborn. I only found a tiny bit of time to work on a couple chapters in Reforged as well as Remarked. I'm hoping to finish the map of the Kingdom of Amora and the outline for Redestined and Remarked by the end of this week. Proofread Reborn. I'm going to do a backwards proofread (starting at the last page and reading through to the first page) for Reborn and then incorporate my proofreader's suggestions, so I can get ARCs out to reviewers by March 17. Then, I'll be formatting for print, so I can get the print proof to me by late March/early April. Continue working on Reforged. I hope to finish my rewrite/edit of the first sixteen chapters by the end of March. I'd like to have Reforged finished by the end of May, but we'll see, since Reborn and Remarked come first. And that's it. Of course, I might relax some too, since my birthday is in March (8th). I also will be slow in responding back to comments until Monday, since I'm having some out-patient surgery today and won't be back at work with the good internet until then. What are your goals for next month? Read any good books lately? A backwards read - be interesting what you catch doing it that way. Shame when the next book in the series is a letdown. 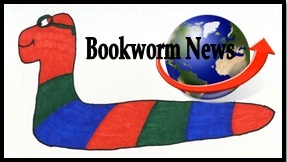 Thanks for including me in your bookworm news! I love hearing about your goals. It must feel good to be at the end of edits with Reborn! I love the three titles: Reforged, Reborn, and Remarked. They go well together. Good luck with your surgery today!!! Thinking of you today, Cherie. I hope your surgery goes smoothly. The surgery went well. I'm sore and tired, but that's to be expected. After we get my prescription, then I'll be heading home. That's a lot of books you've read. 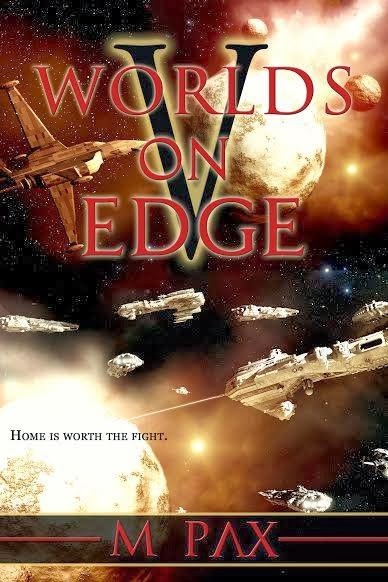 I'm such a slow reader lately... probably because I'm preoccupied with reading through Worlds on Edge several times to get it out the door. So many great books out there. I just read The Unfinished Boy by Chrystalla Thomas. It was short and I read the whole thing waiting on laundry, but it was good. Good luck with your goals and your surgery. I have always been fascinated by the backwards read- so I do hope you will let us know how it goes. I am not sure how to go about reading backwards (I have never read a complete description of what to do). Look at all your reading! Three of the books were on my TBR list, so it was great to learn more about them. Sounds like you have been reading some awesome books. Finally, somebody who feels the same way I did about Daughter of Smoke & Bone! How refreshing. I can't wait to read Aubrie's books. I have her Pan story. I felt the same way about Daughter of Smoke & Bone too. Loved the mythology in it, but the MCs, not so much. I've been reading the Riley Jenson Guardian series by Keri Arthur. Great PNR with all the tropes and she makes it work. :) Rest up and get well soon. I've heard great things about Brandon Sanderson. I'll have to check out this book or another one of his. I had mixed feelings about Daughter of Smoke & Bone too and haven't gone on with the series. Glad I'm not alone in this. Good luck with the surgery. And I do hope you get some relaxing and fun on your birthday. Those new covers are wonderful! I love looking at book covers. You have a nice list. When I get caught up on my list I should come look at yours to get more ideas on what to read next. Good luck with your goals, Cherie -- keep on keepin' on. I like your bookworm ratings. I'm closing in on the end of KING RAT by China Mieville. Good stuff -- urban fantasy / horror, a retelling of the pied piper tale, much cooler than it sounds. Yay, how cool to see the review of Model Position up there! Thanks. You are really on fire with your fast reading skills and your organized schedule. Hi Cherie! All the best with your goals. My goals have been shot down.